And today I feel happy and I don´t care If is only for few minutes. Yesterday I sleep seven hours and for me that is all a success because normally I can´t sleep well over four hours. And because that is super weird but super good I decided publish a colorful post with very colorful dresses. Today I am talking about Novashe. A lovely webstore that has a great variety of products and today I decided share with you some on my favorite items from this online store. I wanted start with this cute short yello mini dress that I feel is perfect for summer and I don´t know even when the yellow is not my favorite I really like the design and the color of this short dress. The second will be this off shoulder dress that looks so light and perfect for summer even If is black. The black is my favorite color for dresses and I found the design of this dress really lovely. The lenght is great the design is cute and I find this dress really cute. I love it the cut and sincerely for me this dress is very lovely. For me a long dress with the right cut is very cute. I must confess I am not a huge fan of maxi dresses but this is really cute and like this you can find a great variety in this webstore. The floral dresses are a must have for summer. I need say that in my country like is a tropical countryl during all the year is summer so my favorite dresses for pick are summer dresses because I can use them in any season of the year because here is like between summer and spring all the year. A short floral dress like this is perfect for a casual date or for visit the beach I don´t know this dress looks super fresh and the design is really lovely. Well that was all for today I hope you enjoyed my picks and like always I want to know which from these dresses is your favorite. I love it the summer vibes from these dresses because I find each dress lovely fresh cute and perferct. By the way I want invite you again to Novashe where you can find a huge variety. Pretty looks for the summer, greetings to you! These are such pretty dresses! flower dresses are really my choice! 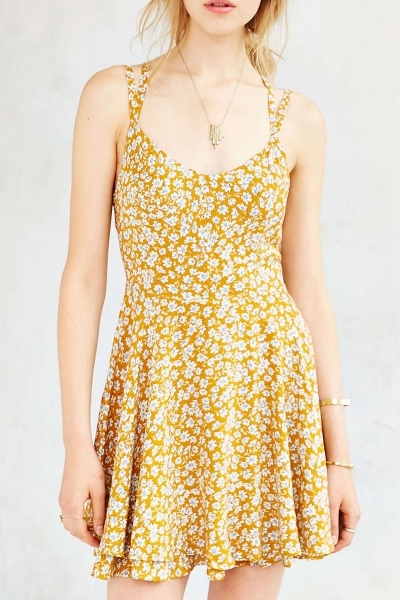 Love that yellow, floral dress! I don't really wear yellow but that first dress is quite pretty! I love the black dress with the colorful prints it is so nice and perfect for the summer. My favorite is the black, too! I love the floral pattern! Design and typography by ZyWorks Contact us ;).